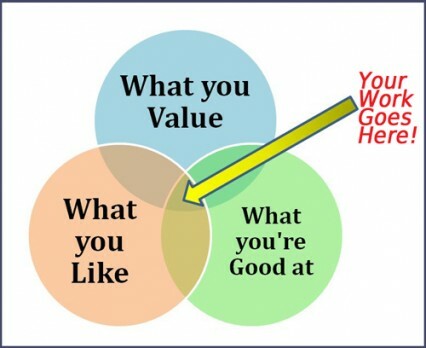 Spiritually Centered Career Direction | Real.Good.Work. Do you work with your soul? Does what you do make sense to your head and your heart? And are you happy with direction your career is moving? If your answers are Yes, that’s GREAT! But if not, it’s time to change — to create a career that truly reflects your spirit. It’s time to do what you believe in, what you like and what you’re good at. Here’s an outline of the Real Good Work approach. If it looks at all like something you need, Contact Phil. Values. What do you believe in? How do you want the world to be, and how do you want to be in the world? Vocation. What work or cause do you feel called to? Awareness. How do you know what you know? Are you informed by both prayer and intellect, and not overly confused by ego? Do Good. What are the practical ways you want to make a positive difference through your work? Are there hazards you know you need to avoid? What has been good, bad, or otherwise in the past? What do you most want to be different? What will you want to stay the same? Past – Present – Future. How would you define your aims at different stages in your career? How would you describe your jobs/careers? How would you describe successes/failures? What do you wish and pray for, for yourself and the world around you? What would other people wish and pray for you? Imagine Future(s) with different Careers/Jobs. Imagine “does this feel right?” Tests that lean on Prayer and Self-awareness. Explore/Analyze Career Landscape — what different Careers are out there? Review what fits/doesn’t. Pray and Reflect. Revise Plan. Repeat.